Nightvibe x Raasta x Vh1 India present another edition of #Abstrakt- a series of events dedicated to quality underground dance music. This time we take up a notch as we have Techno, House, Electronica legend- Robert Babicz (Kompakt Records, Traum Schallplatten) performing his LIVE set with one of India's finest underground music producers- SHFT(Qilla Records) opening. 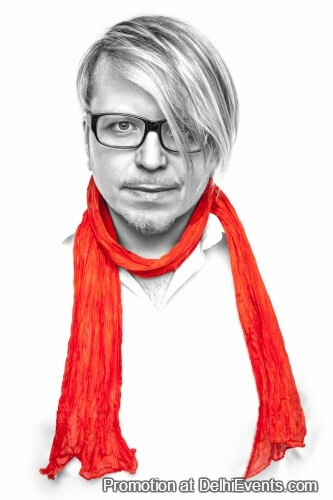 About the Robert Babicz : Robert Babicz has been redefining the boundaries of electronic music since the early 1990s. His unique artistry encompasses sound, vision, emotion and spirituality. From releasing and performing acid techno as Rob Acid, to his role as a highly-sought after producer and studio wizard infusing technical perfection with deep emotion, to his striking photos, everything Robert does expresses his desire to celebrate beauty and humanity, and to live each moment with utmost consciousness. Robert's art and philosophy are so distinctive there's a word for it: Babiczstyle.